iOS provides some basic cool animations in UIView like fade in, fade out, move, rotate, and transform. And the best part of iOS operating system is that we can do great stuff in couple of codes. 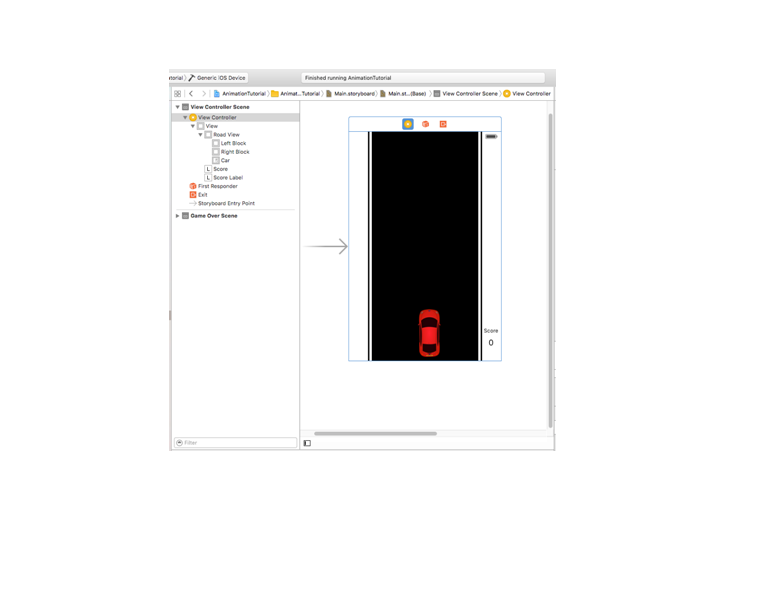 In this article we are going to see how to implement a Simple 2D Car Game in iOS.iOS provides API to access device Motion using CMMotionManager class. Using this class you can detect the acceleration of device. Before getting started you need to know the basic properties of UIView. These properties are going to play a major role in animations 1. center (center point of view) 2. frame (position of rectangle in the super view's coordinate, size, stretching, etc) 3. bounds (rectangle in its own coordinate system, size, stretching) 4. alpha (transparency) 5. transform (rotation, scaling, basically any changes to the UIView) We can make a UIView animation using below functions. The CMAccelerometerData contains the acceleration on x, y, z points. 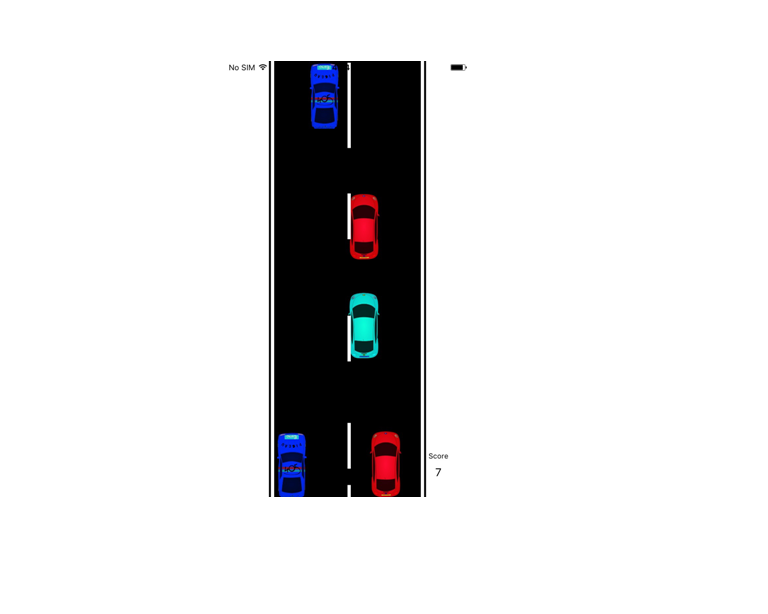 When you code the below lines your CAR will react for the Device Motion. You can go forward, backward, left, and right. Creating and Moving dividers The next step is to create a divider line and get it moving. If you noticed in the viewDidLoadFunction, I have created NSTimer to create dividers. This will call the below function for every 0.5 seconds and make it animate. This will let us feel like the car is moving. 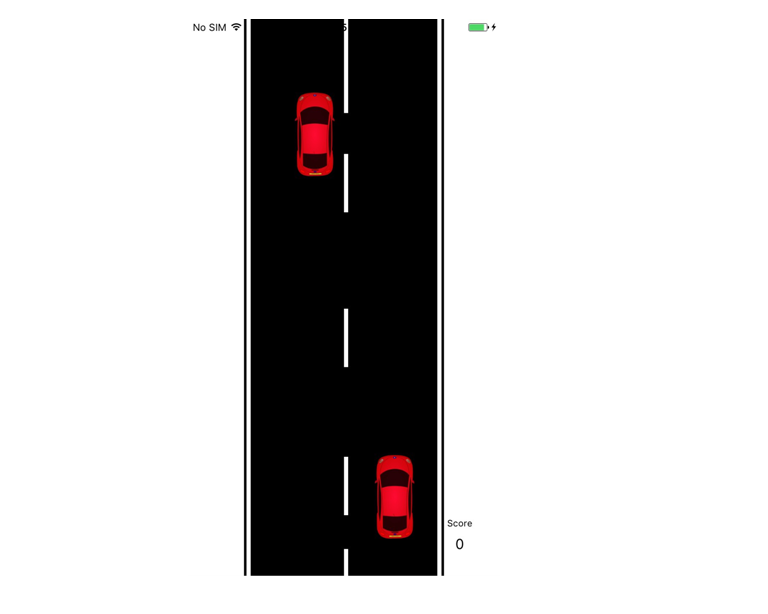 After you code the above lines, you could see your play world as below Create and animate opposite cars Now you almost have a moving car on road. We can add some more interesting things by making it like real driving by adding some more cars which will move on the opposite direction. In viewDidLoad function I created one more NSTimer to create opposite cars. This will call the createcars function for every 2 seconds and move it with random speed.